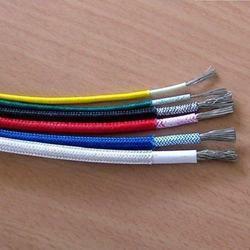 We are the prominent manufacturer & supplier of High Temperature Wire. Choosing the right high temp Wire for high-heat environments reduces unnecessary replacements and avoids downtime. PT products are specialised family of high temperature wire and cables specifically designed for applications that require a cable that can take the heat. We are offering Heat Resistant Wires to our clients.